First things first this only will work for the Aspire One AOA-110 and the AOA-150 if you don't have these models don't try this fix. In the Dos_Flash folder, rename the BIOS file from 3310.fd to ZG5IA32.FD, in all capital letters. When the unit's power light comes on wait a few seconds and release the Fn and Esc keys. the unit may need service. 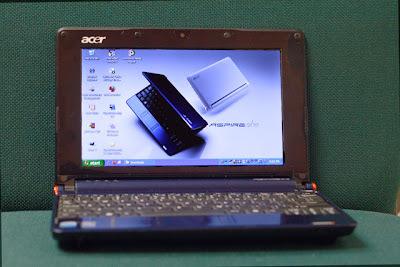 performed on any other model Acer Aspire One. It is very important to check a used computer thoroughly before buying it as it may lead to problems in the future. I told a friend about this article and pointed her to your blog. She's got the same problem but now it's been fixed. Thanks!